How Does a Doctor Test for Eustachian Tube Dysfunction? If the Eustachian tubes become inflamed – typically due to illness or allergies – mucus or fluid can build up.3 This improper drainage causes the pressure, fullness, pain, and/or hearing changes that characterize the condition. People who smoke are at an increased risk because smoking damages cilia – tiny hairs that line the middle ear and help sweep mucus toward the throat. People who are obese are also at a higher risk because fatty deposits can form around the Eustachian tubes, leading to dysfunction. Allergies can also increase a person’s risk, as they can lead to frequent episodes of mucus production and congestion. Nasal polyps, a cleft palate, or a tumor may put someone at increased risk of developing Eustachian tube dysfunction. How long does Eustachian tube dysfunction last? 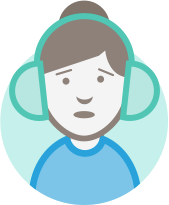 What is the typical Eustachian tube dysfunction recovery time? Most people feel better in a few days to a week or two. If symptoms last longer, get worse, or seem to recur, you should see a doctor. A buildup of mucus in the middle ear causes symptons. Symptoms are often mild and limited to a few days following a cold or flu. If symptoms last more than two weeks, recur frequently, or are severe, it’s a good idea to schedule an appointment with your doctor. Your doctor will ask about your symptoms, examine your ear canals and ear drums, and check your nasal passages and the back of your throat for signs of inflammation and mucus buildup. Symptoms, and a recent history of cold, flu, or allergies is often enough to diagnose Eustachian tube dysfunction. Pinching the nose and closing the mouth and trying to breathe out through the nose can sometimes help clear the ears if your symptoms stem from air pressure changes. 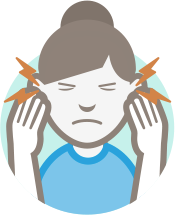 During this test that measures your hearing, you’ll listen to sounds transmitted by an audiologist and press a button to signal when you hear something. This test for pressure behind the eardrum is performed by inserting a tympanometer probe in the ear canal. The instrument changes pressure in the ear, generates a pure tone, and measures the eardrum responses to the sound at different pressures. This involves insertion of a small, flexible camera into the ear or nasal passage, so the doctor can see the openings of the Eustachian tubes. Specialized forms of X-rays can offer a detailed look at the bones involved in hearing. Based on the findings of the assessments above – or if symptoms persist for more than three months and medical management fails – your doctor may recommend Eustachian tube dilation. 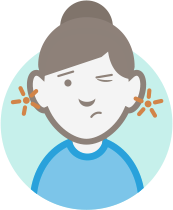 Eustachian tube dysfunction usually resolves in a few days to two weeks without treatment. You can take certain actions to open up the tubes, such as swallowing, yawning, or chewing gum. 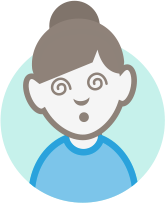 And, you can try the Valsalva maneuver at home by taking a deep breath, pinching your nostrils closed, and blowing with your mouth shut. Babies and toddlers with Eustachian tube dysfunction may benefit from frequent feeding or sucking on a pacifier. If these strategies don’t help, your doctor may suggest options for medical management. If a bacterial infection is present, your doctor may prescribe an antibiotic. After making a tiny incision in the eardrum, your doctor can suction out fluid from the middle ear, giving the Eustachian tube lining time to shrink while the eardrum is healing. Implantation of small tubes in the eardrums allows built-up fluid to drain out of the middle ear. This procedure is commonly performed on young children who get frequent ear infections. The tubes stay in for up to 18 months and fall out on their own. 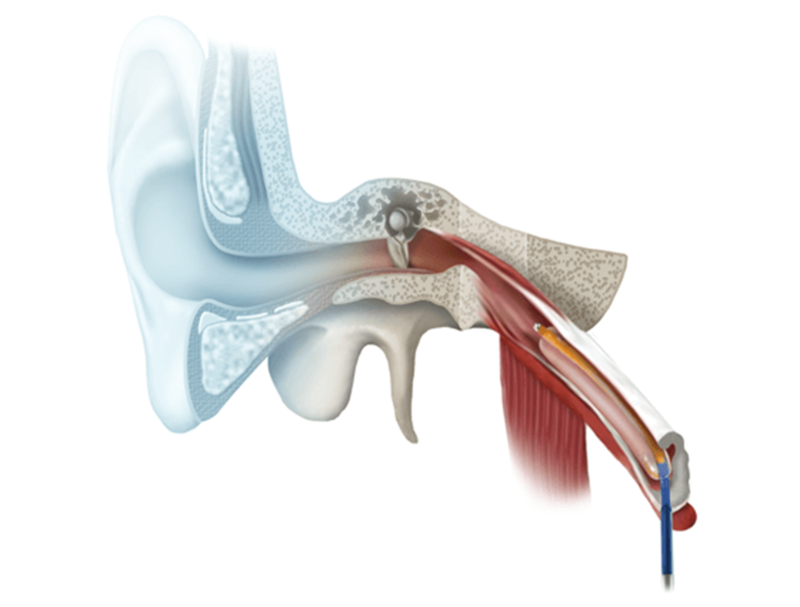 Many of the current treatment options for Eustachian tube dysfunction are limited or invasive, but a newer treatment option using balloon dilation can restore Eustachian tube function and relieve symptoms.7 The XprESS™ ENT Dilation System provides a safe, effective, and less invasive treatment for people with Eustachian tube dysfunction. During this procedure, your doctor will insert a small balloon through your nose and into your Eustachian tube. The balloon will then be gently inflated, and after treatment, removed. The procedure is performed under local anesthesia. Enter your zip code and preferred radius to find physicians near you who specialize in diagnosing and treating Eustachian tube dysfunction. 1 Schilder AG, Bhutta MF, Butler CC, et al. Eustachian tube dysfunction: consensus statement on definition, types, clinical presentation and diagnosis. Clin Otolaryngol. 2015;40:407-411. 2 Seibert JW, Danner CJ. 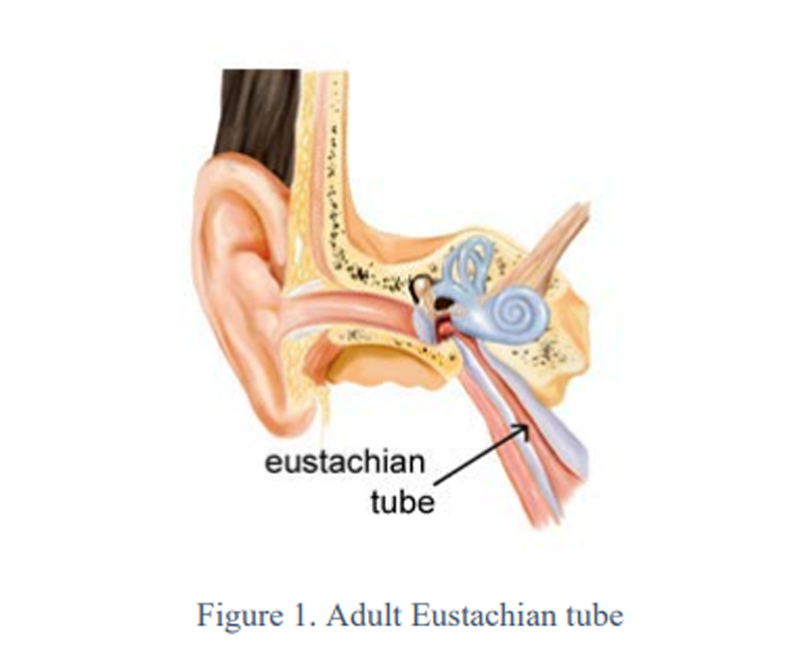 Eustachian tube function and the middle ear. Otolaryngol Clin N Am. 2006;39:1221-1235. 3 Bluestone CD. Eustachian Tube: Structure, Function, Role in Otitis Media. Hamilton, Ontario, Canada: BC Decker, Inc.; 2005. 4 Data on file at Entellus Medical, Inc.
5 Goldman JL, Martinez SA, Ganzel TM. Eustachian tube dysfunction and its sequelae in patients with cleft palate. South Med J. 1993: 86:1236-1237. 6McCoul ED. Lucente FE, Anand VK. Evolution of Eustachian tube surgery. Laryngoscope. 2011;121:661-666. 7Appold K. New Developments in the Management of Eustachian Tube Dysfunction. ENTtoday, a publication of the Triological Society. January 2016.